Cleveland, OH (August 9th, 2016) – As the third largest real estate company nationally, Howard Hanna takes its commitment to innovation seriously. That’s why in July, the company made its estimated 10 million web pages available in 100 different languages on HowardHanna.com. 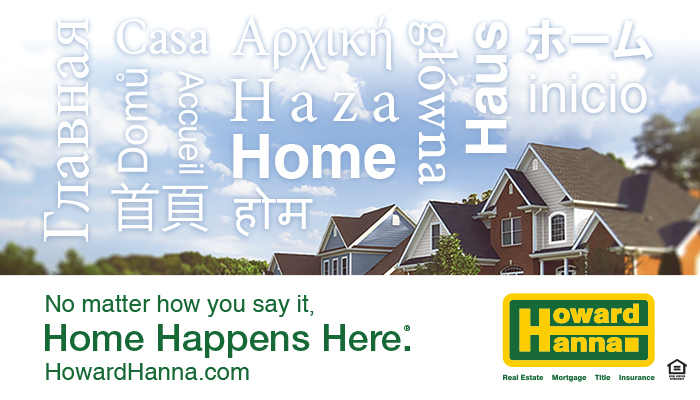 Howard Hanna has always looked to make the real estate process simpler. The goal of adding translations to the website is not only to make the American Dream of Homeownership accessible to those who may not speak English as a first language, but also to keep pace with a changing digital landscape. Thus far in 2016, Howard Hanna’s website has had visits from over 200 countries. With an average of 1.4 million visitors per month, this cutting-edge technology advances the promise to revolutionize real estate. It helps to bring listings, services, and programs to a wider, more diverse audience. In 2015, the combined performance of the Howard Hanna companies resulted in closed sales of over $16.2 billion and an impressive 89,737 closed transaction sides. With its pledge to continued innovation in real estate, Howard Hanna expects to have another record-breaking year in 2016. Howard Hanna Real Estate Services is the 3rd largest real estate company in America, the #1 privately owned broker in the nation, and the largest home seller in Pennsylvania, Ohio, and New York. The family-owned and operated real estate company specializes in residential and commercial brokerage service, mortgages, closing and title insurance, land development, appraisal services, insurance services, corporate relocation and property management. With 270 offices across PA, OH, VA, MI, NY, WV, NC and MD, our more than 9,000 sales associates and staff are guided by a spirit of integrity in all aspects of the real estate process.